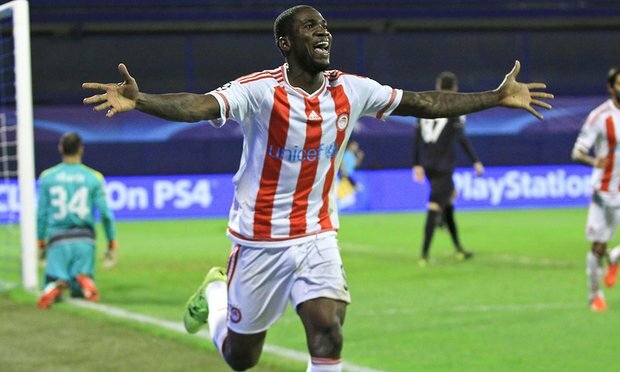 Super Eagles striker, Brown Ideye scored first hat-trick for Olympiacos FC in their 6-1 demolition of Veria FC in the Greek Super League clash on Sunday. Ideye scored the hat-trick in the 25th, 61st and 89th minutes respectively. Brazilian star Seba and Tarik Elyounouss extended the lead in the 27th and 41st minutes, Pantelis Kapetanos scored Veria’s consolatory goal in the 74th minute. Luka Milivojevic completed the rout in the 49th minute; to end the game 6-1 at regulation time. Interestingly, Ideye has registered three goals in the new Greek league season; the former West Brom striker was in action for 90 minutes in the home tie.